A delight for all ages..
short stories, polemically charged non fiction and lyrical poetry. He is well knows for his fairy tales and fables and this new collection which I have got my greedy hand on is a delight. The trouble with fairy tales and fables is they are often merely adapted from older, original fables from centuries ago…think 4th century Chinese Cinderella! Yet Kyber’s tales are highly original and exude his feelings on man’s disengagement with the natural world. 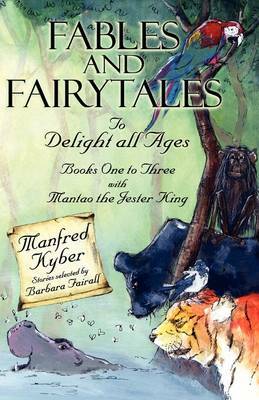 Like all fairy tales, Kyber’s work contain compelling morals within the obscure wildlife of his tales. This is a truly wonderful addition to anyones collection of fairy tales. As a hardback, it would be wonderful as a gift book. The illustrations really live up to the quality of Kyber’s work and retain the classic late 19th/early 20th century sense of his work. This new edition is collected by Barbara Fairall. She is rather proud of her translations and so she should be. I have been rather overwhelmed with working at the bookstore and looking for a graduate job recently and so I have not had time to make any decent posts. 1. Review the latest picture books by new authors. 3. Post my reviews for the Waterstone’s Super-tiers Christmas lists which I am submitting to head office. This is in the hope that they will be rolled out across all the stores in December. On a quick goodnight note, all signs have been pointing for me to re-read ‘The Magic Faraway Tree’…I keep finding links for pictures of Helena Bonham-Carter as Enid Blyton, the books has had an increase in sales recently and this is one of the super-tier books for our Christmas best-seller list. What a wonderful, dreamy, crazy book. Just what I need to forget that the recession and lack of job is not everything. Happy reading, whatever the book may be! 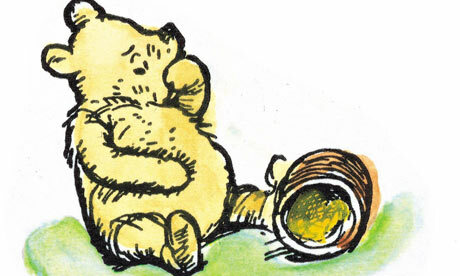 This new book aptly titled ‘The Return to the One Hundred Acre Wood’ is written by David Benedictus and the just as important illustrations by mark Burgess. The book is published October 5th and i pray the people involved do it justice. Sometimes it’s better having nothing new than having a new sub-standard book. But I for one wait with much anticipation and hope for this book. In my bid to keep my heart close to the written word, I have dedicated this post to a few old favourites of mine and quite possibly yours. I am so pleased Macmillan have published a new edition of this and it has maintained its charm with the authentic illustrations of John Vernon Lord. The book is made up substantially of the pictures and that’s the way it should be. In particular this story evokes such imagery of a giant sandwich being flown across the town of Itching Down that it would be rude not to satisfy the reader with a beautiful array of pictures. The townspeople of Itching Down are invaded by a swarm…a big swarm of wasps. Towns-people are run out of town and a few even succumb to the wrath of the wasps, which is quite terrifying but this element to the story is juxtaposed well with the local baker’s wacky resolution, which is to make a giant sandwich, slather it with jam and lure the wasps into the sweet, succulent jammy sandwich until SQUISH they get smushed into the sandwich. Now i’m not one for eating a waspy jam sandwich and the story has quite possibly put me off eating a jam sandwich recently but what a fantastic, crazy tale which shows a town pulling together for, well their lives. What I loved is how relatable it is to Gulliver’s Travels and this intertextuality is only achieved through the commendable illustrations. Have a look for yourself and you will see what i mean. This book is probably more suited to those of a higher age range reading picture books purely for the wrath of wasps. I’m a grown adult and I still run around trying to whack them with the newspaper…they get rather angry. Oh, how I adore these books but to my dismay they seem to have been overlooked by many of my friends. When I try to remind them of these wonderful books, my friends simply draw a blank. Perhaps it takes a visual stimulant to remember a childhood book, that has certainly been the case for me in the past. Shirley Hughes is such a wonderful woman, admirable even. Last year i watched the BBC2 documentaries ‘When We Were Very Young’ about picture books and children’s books in general. It was a truly wonderful watch and showed the parallels between picture books from the past and picture books today. Some things are inevitable in change and yet it is comforting to know that much remains the same and i’m sure many of you will join me in praising the importance and presence of the picture book. One tale I remember well is when Alfie’s parents go out for the evening and so he and his sister are stuck with the babysitter. Just him, the babysitter and the ever-adorable Annie-Rose. So many things happen; there’s a flood in the bathroom and Annie- Rose wont sleep. They’re simple things, yet so important and part of the family dynamic which Shirley catches so well in her stories. Perhaps this is why the stories are still in print today? Many of the picture books now comes in gold anniversary editions, copies to treasure for years to come. Admittedly, I have already failed in my promise to post a few blogs a week but I am back on top form now and ready to do my best! So, what was it that caused me to completely ignore my internet obligations? The art of full-time work. I did work experience at a small publishing house last week, and having just got over swine flu, it completely drained me. However, during my time at Ransom publishing I came across a great range of books which I think are worth a mention as they target such a niche market. This market being high interest, low reading level children. The difficulty publishers have with children who struggle to read is finding something relevant. Whilst a child may have a low reading age of 6-7 when they are actually 12 years old, they are not going to want to read about Spongebob or Peppa Pig. That’s the most pressing thing when it comes to publishing these books and I believe Ransom has succeeded in producing quality books that quite frankly, do not insult the child’s abilities. One book I was asked to read and review is ‘Stained’ by Joanne Hichens. It is part of a series called Cutting Edge. There are 16 fiction books in these series and they are all classed as ‘quick-reads’. To you and me this means they are formatted to appear like a regular novel but are shorted in length, around 25,000-35,000 words in fact and the font is larger and paragraphs spaced out. So the issue of presentation appears not a problem for Ransom Publishing. But the most important question remains…is the content any good? Well in all honesty, yes it is. The book is for teenagers and young adults and so it’s important to acknowledge issues with society which these kids may well be going through. ‘Stained’ is set in a poor area of Cape Town and focuses on Grace, an adopted child trying desperately to remain on the good side of the law in a place so tempted into destruction. Grace’s authentic narrative is juxtaposed with the gripping diary of Crystal, who, just having had a baby when she herself is still a child is going through inner turmoil no one could possibly comprehend before it’s too late. With these two impressionable young girls, the story is lightened somewhat by the endless support and love of Grace’s carer Martha. As the story progresses, what we begin to see is a story of turmoil, of tragedy and destruction but also of hope amongst the fallen. The story cashes in on such topic of teenage pregnancy, abuse and drugs which so need addressing in the confusing society children are growing up in today. I would not recommend this book for children under 14 or 15 as it features swear words throughout and the topics are very sensitive and I think this book should be chosen at the discretion of the parent. What makes the novel even more relevant is the authorship by Joanne Hichens. She lives in Cape Town and draws upon her own experiences to produce a novel which is perhaps more a hybrid of fiction and a representation of societal demands, than fantastical fiction which has no relevance to a lost child today.